BRYAN EATON/Staff photo. 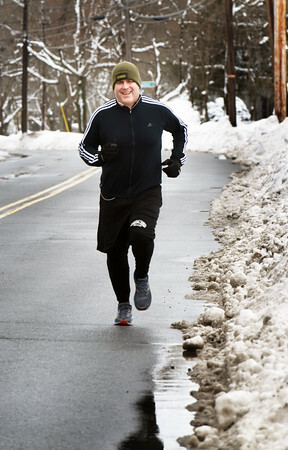 Jim Kelcourse on a five-mile workout runs along Congress Street in Amesbury. The state representative is running in this year's Boston Marathon.